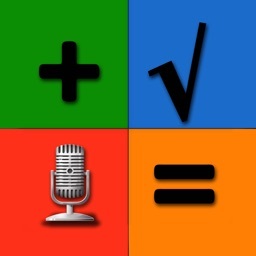 A multifunctional calculator to replace all digital calculators. 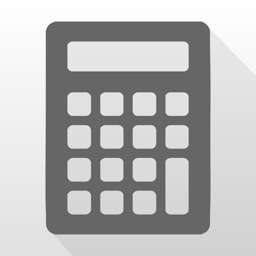 The SC-323PU is a multi functional calculator. 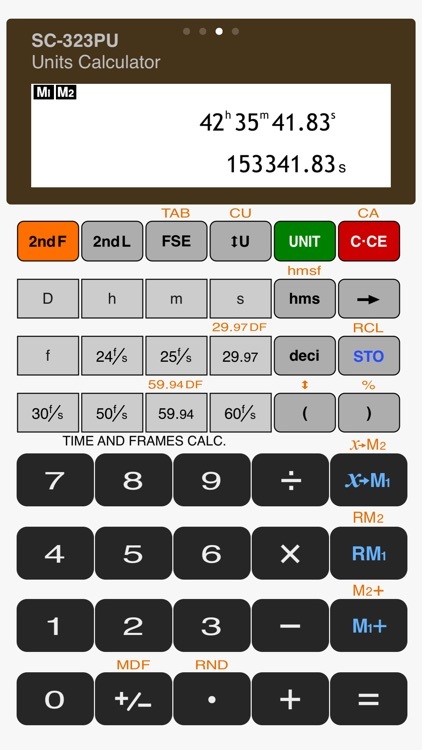 It is designed in a way, that it simulates the visual and operational aspects of a true pocket calculator, such that the user will be immediately familiar with its interface. A complete operation manual is included within the App. It’s perfect for students, teachers, and business professionals, especially those with an Apple Watch. The UI, although familiar, isn’t all that visually appealing. 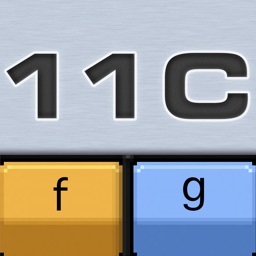 Themes would be a great addition. 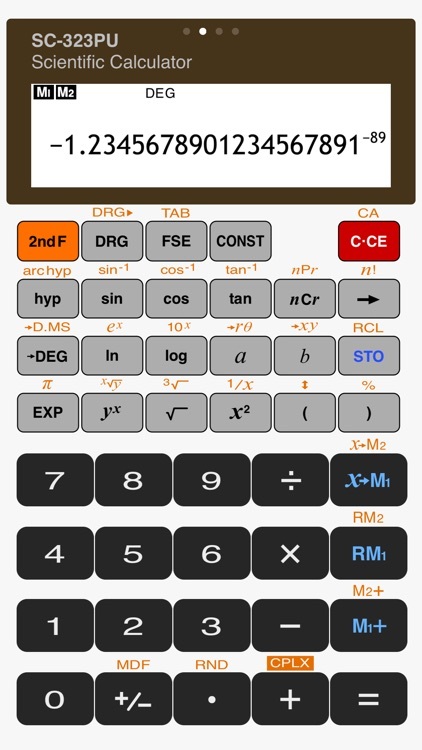 If you need a powerful calculator with you wherever you go, check out SC-323PU. The Apple Watch support makes it even more useful, allowing you to do everything from basic to complicated scientific calculations right on your wrist. • Full operating instructions are included in the App (visible when device is in landscape orientation). 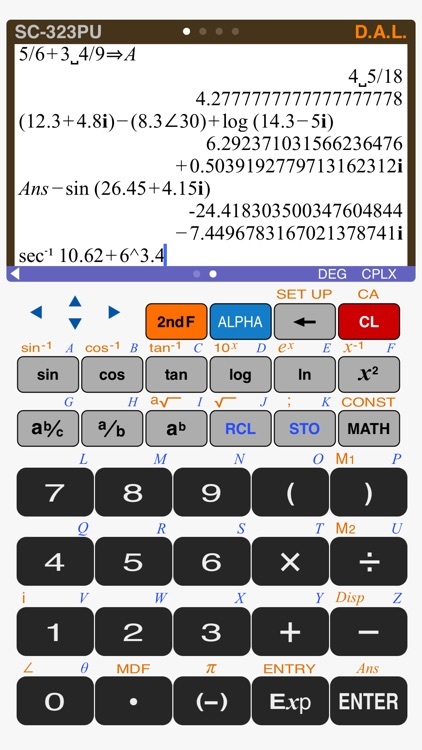 • All modes share the same memory contents, and calculation value, so that the different calculator modes can be used in one calculation task. 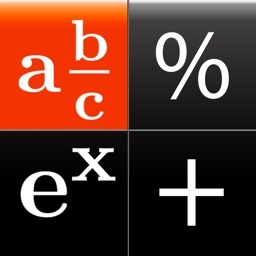 • Algebraic logic for calculation entry. • Priority of calculations according to a given mathematical formula. 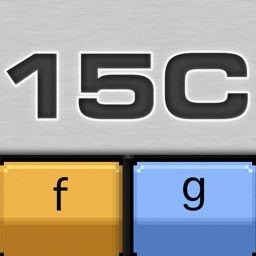 • 30 levels of parentheses or pending operations. • Variables and memories to store values and use in calculations. 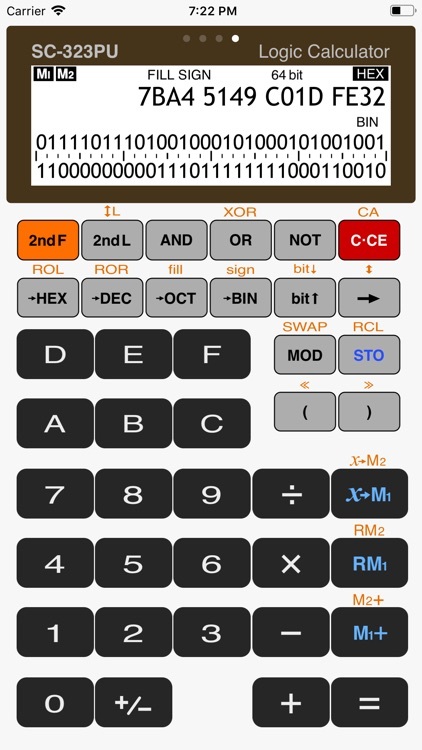 • Floating decimal point calculations with 20 digits mantissa and 2 digits exponent. • Calculations: Four arithmetic calculations, constant calculation, memory calculations, trigonometric and inverse trigonometric functions, hyperbolic and inverse hyperbolic functions, conversion of angles and time, reciprocals, square roots and cubic roots, X-th roots of Y, squares and powers, logarithmic and exponential functions, factorials, permutations, combinations, conversions of coordinates. • Different display modes selectable: floating point decimal, fixed point decimal, scientific notation and engineering notation. 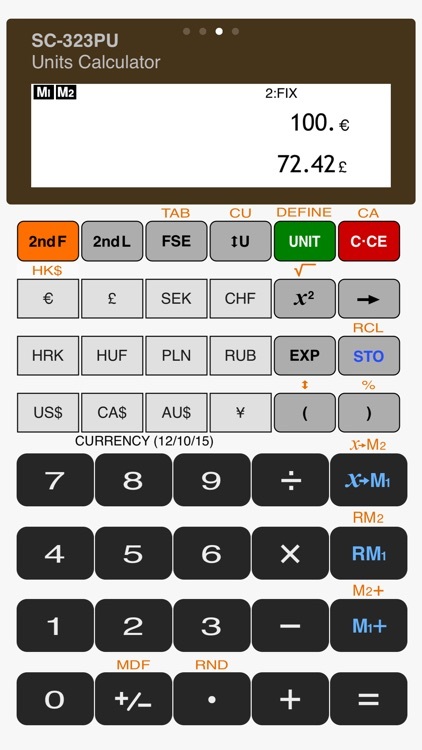 • Unit converter and currency converter. • Calculations with mixed units. 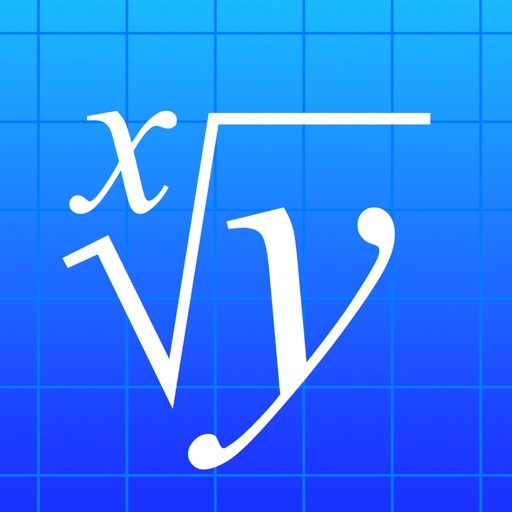 • The calculator is shipped with 84 physical units and 16 SI prefixes predefined. • Exchange rate of currency units will be updated automatically from internet. • Additional units can be defined by user. • Single and two lines view modes optimized for different conversion tasks. • Conversions between 4 base systems HEX, DEC, OCT, BIN. • Boolean operations AND, OR, XOR, NOT, bit shift operations. • Conversion from “little endian” to “big endian” format and vice versa. • Handling of 8, 16, 32 and 64 bit signed and unsigned numbers including overflow calculations. Also on your Apple Watch! You can do basic calculations, tip calculations, unit and currency conversions and even scientific calculations directly on your wrist. Designed with large keys for best usability on the small screen. Today’s AGF list includes a note taker, a star gazer, and a calculator.